The partnership will support Latin American coffee growers in the fight to contain a devastating leaf rust epidemic. Green Mountain Coffee Roasters, Inc. (GMCR), the Multilateral Investment Fund (MIF) of the InterAmerican Development Bank and Skoll Foundation will support the non-profit agricultural lender Root Capital‘s Coffee Farmer Resilience Initiative. The initiative is a collaborative venture designed to stabilize supply chains by investing in coffee farmers at the base of the value chain, who are on the front lines of battling the leaf rust epidemic in Latin America. The largest-ever partnership between the organizations combines long-term lending to finance the replacement of diseased coffee trees affected by the fungal disease with short-term trade credit, financial management training, climate-smart agronomic assistance and household-level income diversification. The $7 million initiative will allow Root Capital to lend more than $10 million for resilience investments, and provide financial management training, to 50 agricultural enterprises representing 40,000 farmers, reaching approximately 200,000 family members in farming communities in Latin America. Beyond the direct impact, the initiative aims to serve as a blueprint for holistic investments in farmer resilience that can be replicated and scaled by other private-public partnerships in agriculture. Seeded with funding from the Skoll Foundation, the initiative complements global efforts to build the market for smallholder agricultural finance in a manner that encourages environmental stewardship and resilience, in addition to sustainable rural livelihoods. They help unlock opportunity for people in vulnerable places. In order to address some of the world's most fundamental challenges—feeding the future, preserving the planet, and securing peace—they need to focus on 2 billion people. That's the number who live in rural areas on less than $2 a day. Many of them are farming to feed the rest of the world, yet they are not getting enough to eat. Many live hundreds of miles from accessible markets, without the roads to reach them. 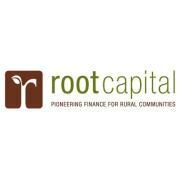 Root Capital seeks to improve the lives of rural farmers by connecting them with the formal economy. They invest in the growth of agricultural enterprises so they can transform rural communities. These businesses purchase crops such as coffee, cocoa, or grains from thousands of smallholder farmers. They connect members to markets and help improve their farming practices. 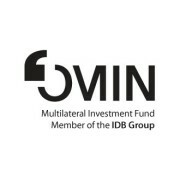 The Multilateral Investment Fund (MIF) supports economic growth and poverty reduction in Latin America and the Caribbean through encouraging increased private investment and advancing private sector development. It works with the private sector to develop, finance, and execute innovative business models that benefit entrepreneurs and poor and low-income households; partners with a wide variety of institutions from the private, public and nonprofit sectors; evaluates results; and shares lessons learned. The MIF is a laboratory for testing pioneering, market-based approaches to development, and an agent of change that seeks to broaden the reach and deepen the impact of its most successful interventions. The MIF, funded by 39 donors, supports private sector-led development benefitting the poor and low-income households - their businesses, their farms, and their households. The aim is to give low-income populations the tools to boost their incomes: access to markets and the skills to compete in those markets, access to finance, and access to basic services, including green technology. It quickly became the world’s leading foundation for social entrepreneurship, driving large-scale change by investing in, connecting, and celebrating social entrepreneurs and other innovators dedicated to solving the world’s most pressing problems. By identifying the people and programs already bringing positive change around the world, we empower Social Entrepreneurs to extend their reach, deepen their impact and fundamentally improve society. Grants are an integral part of their investment strategy. Inspired by best-of-breed venture investors, they employ a flexible, phased approach to grant-making and collaborate with their social entrepreneurs on grant objectives, while allowing them to determine how best to allocate resources to achieve them. They have awarded more than $100 million in their flagship program, the Skoll Awards for Social Entrepreneurship, which invests in social entrepreneurs whose work has the potential for large-scale impact in critical social change areas: economic and social equity, environmental sustainability, health, institutional responsibility, peace and security, and tolerance and human rights. It currently honors and supports 81 leading social entrepreneurs representing 66 organizations from around the world. Program-Related Investments (PRIs) provide capital at below-market rates to further a charitable purpose. Using vehicles from commercial finance, such as loans, equity investments and guarantees, PRIs offer the opportunity to blend the mission focus of a grant with the discipline and leverage of a financial investment. They also invest in financial intermediaries who accelerate access to capital and other resources to those in underserved markets. b. Social Edge, the online community at www.socialedge.org led by social entrepreneurs for social entrepreneurs. -They also share the stories of social entrepreneurs through partnerships with leading film and broadcast organizations such as the PBS NewsHour and the Sundance Institute, which help drive public awareness of social entrepreneurship and its potential to address the critical issues of their time. 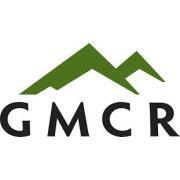 A leader in specialty coffee and coffee makers, Green Mountain Coffee Roasters, Inc. (GMCR) is recognized for its award-winning coffees, innovative Keurig® brewing technology, and environmentally and socially responsible business practices. Our purpose is to create the ultimate coffee experience in every life we touch from source to cup — transforming the way the world understands business. We are passionate about innovation and have a strong sense of responsibility to build a resilient supply chain, create sustainable products, and give back to the communities we’re connected to around the world. We believe our continued success will allow us to invest in a just and sustainable future — whether through sales of certified coffee, purchases of sustainably sourced products, energy efficiency and waste reduction programs, awareness-building campaigns, new product innovation, funding of projects in local and supply-chain communities, or volunteerism. Fair Trade USA, the leading third-party certifier of fair trade products in the United States, named GMCR the largest purchaser of Fair Trade Certified™ coffee in the world for 2010 and 2011. At GMCR, we are dedicated to providing the highest quality beverage experience delivered in the perfect cup, simply and consistently. Our state-of-the art brewing technology, combined with an array of delicious beverage-brands, offers a variety of options to suit consumers’ lifestyles and taste preferences – from the kitchen countertop, to small offices and dorm rooms, to hotels. In all, GMCR sources, produces, and sells more than 30 brands and 250 varieties of coffee, cocoa, teas, and other specialty beverages through a multi-channel distribution strategy intended to provide widespread exposure to our portfolio of products. We have production and distribution facilities in Castroville, California; Knoxville, Tennessee; Windsor, Virginia; Essex, Waterbury, and Williston, Vermont; Sumner, Washington; Toronto, Ontario; and Montreal, Quebec. The Company also conducts research and development activities in facilities in Burlington, Reading, and Wakefield, Massachusetts; and in Waterbury, Vermont.